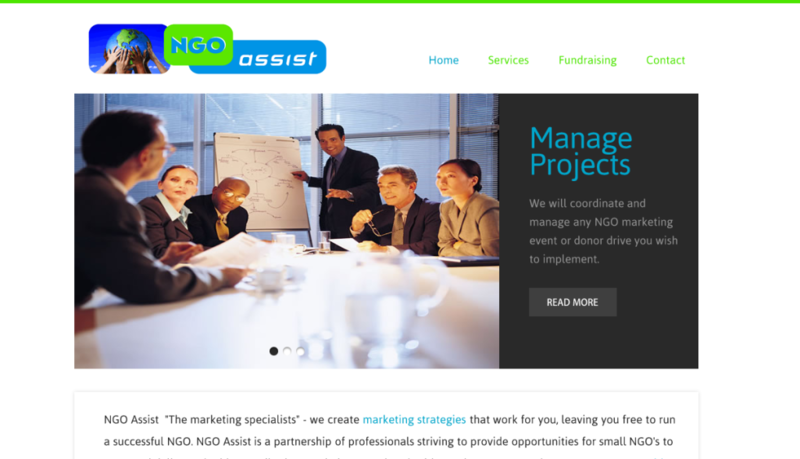 NGO Assist creates marketing strategies for NGO’s. NGO Assist is a partnership of professionals striving to provide opportunities for small NGO’s to grow and deliver valuable contributions to their respective charities and causes. They strive to create a competitive edge for small NGO’s in a fast developing non-profit environment as well as valuable partnerships between small NGO’S and the Private Sector.